Changes to post scores on this page are visible to you in real time. After a long wait we're happy to say that the background for the anniversary collaboration is finally complete thanks to Pirill. 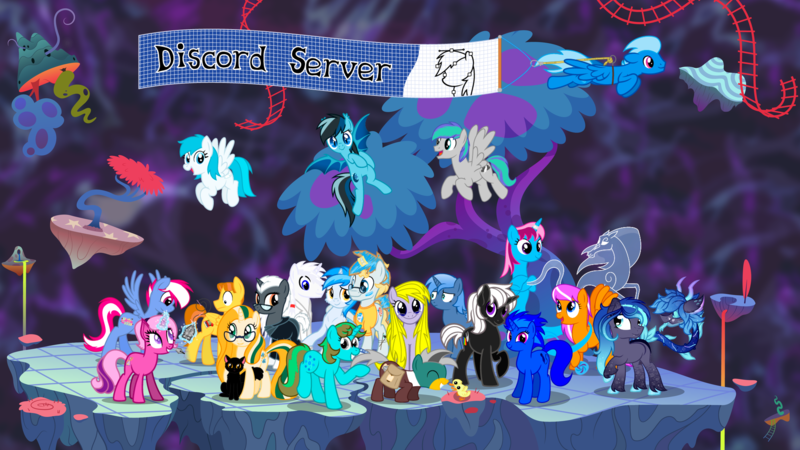 However, since a lot of time has passed, we figured it'd be a good idea to reopen the event to allow any new server members to submit their characters and to allow existing submissions to be updated. With that in mind, we're changing the collab's deadline one last time to fall in line with the server's second anniversary. You can see the new deadline at the bottom of this section. Our Discord server is almost 1 year old and so we decided to have a new collaboration project. Our mascot, Penny Curve, and the staff will also be on the image. We haven't decided on the background yet so you can throw some ideas If you want. We hope we can get as many people participating as possible, it should be fun. Entries will be accepted until 23rd March 2018, 12:00:00 GMT . Entrants can submit a maximum of 1 entry each. This event has concluded. Thank you to everyone who participated!